In 1953, while working at the Victoria and Albert Museum, Laura Ashley became inspired by a display of intricate patchworks and the rest is history! Laura and her husband Bernard, began printing designs on fabric at the kitchen table of their tiny flat. Laura's love of all things Victorian led to the long silhouette and feminine styles, which would become the company's trademark. Today the brand can be found in over 23,000 retail stores throughout North America. The Laura Ashley product line represents a broad range of premium filled bedding offering soft fabrics paired with comforting fillings. 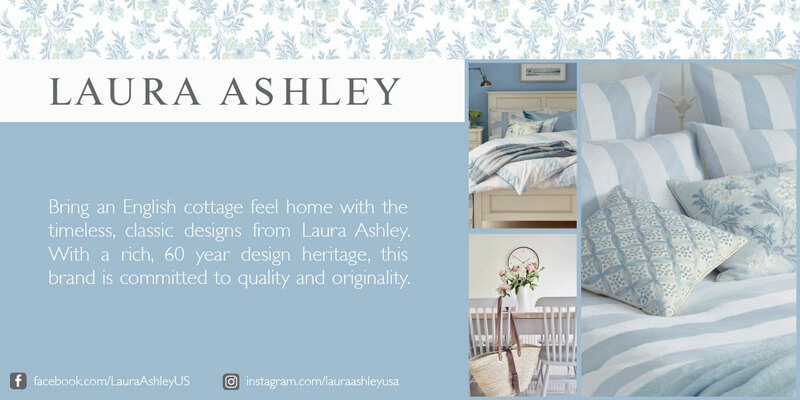 Laura Ashley bedding include a full range of pillows, mattress pads and toppers, comforters, and blankets.